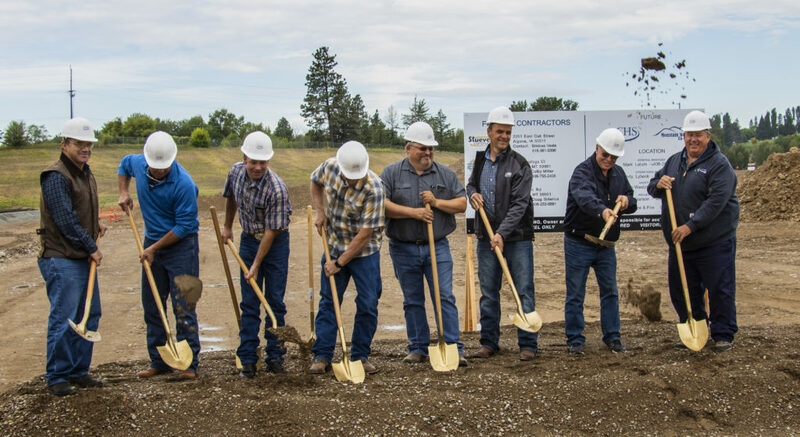 The rain stopped just in time for CHS Mountain West to officially break ground on a new grain, fertilizer and energy campus within the recently opened Glacier Rail Park in Kalispell, Montana, on June 21. The site will include a steel grain facility with 470,000-bushel storage capacity and a 4,700-ton capacity fertilizer plant, both strategically situated with access to a 54-car rail track operated by Mission Mountain Railroad. CHS Mountain West expects to handle approximately 11,000 tons of fertilizer and move 1.7 million bushels of various grains annually through the facility. The site will also include product warehouse space and an ag supply retail store, bringing three CHS Mountain West locations in Kalispell onto one campus. The new fertilizer plant and grain elevator are expected to be completed by Spring 2019. “This new facility will allow us to secure market opportunities when prices are best and pass those savings on to the farmers,” said Doug Manning, a farmer in the area and board member for CHS Mountain West Co-op. 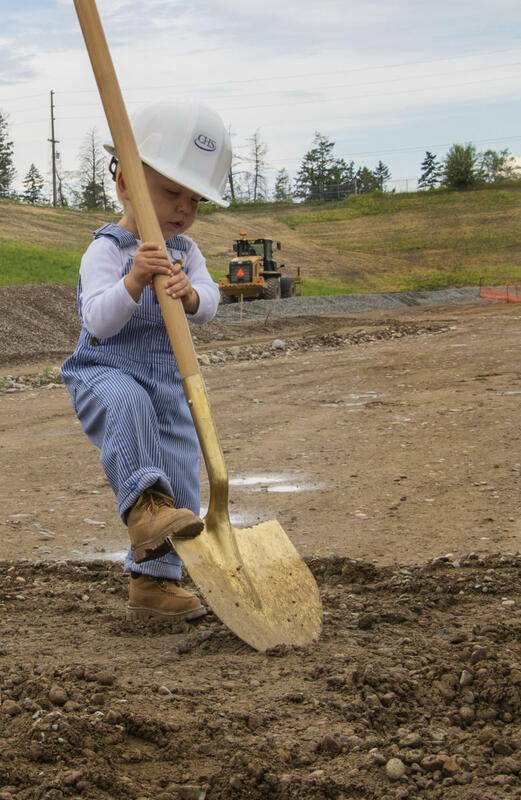 During the groundbreaking, speakers laid out the history of the project and how the new facility will help Kalispell transition from a train town to a major urban center while preserving the agricultural roots in the valley for future generations. Kalispell was built as a rail town back in 1892, but as the town has grown into a more urban hub in Montana, the central location of the rail has disrupted traffic patterns in the growing town. Sections of the rail stamped with the 1892 date will be preserved and displayed to commemorate this history. Various news outlets covered the ground breaking. Read more about the project in the story from the Flathead Beacon and Daily Inter Lake newspapers and watch news coverage from the local CBS and NBC affiliates.